Solid line is the approximate extent of glaciation in the last Ice Age, 11,000 years ago. All ice above it. People below it could survive. 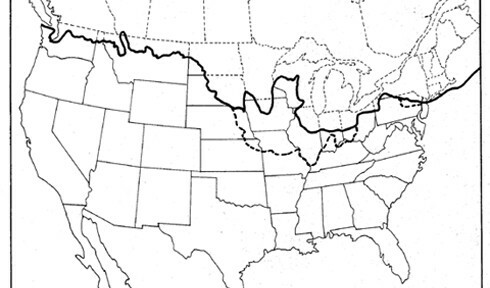 Dotted line is the approximate extent in the previous Ice Age.